Lockheed Martin delivered the first of four HC-130J Combat King II aircraft on March 21, 2019, to representatives from the New York Air National Guard’s 106th Rescue Wing (RQW). This HC-130J Combat King II will be operated by the 102nd Rescue Squadron (RQS) at Francis S. Grabreski Air National Guard Base, New York. The 102nd RQS, which is part of the 106th Rescue Wing (RQW), currently operates a legacy fleet of HC-130P/N variant Combat King I aircraft, which will be replaced by four new HC-130Js. 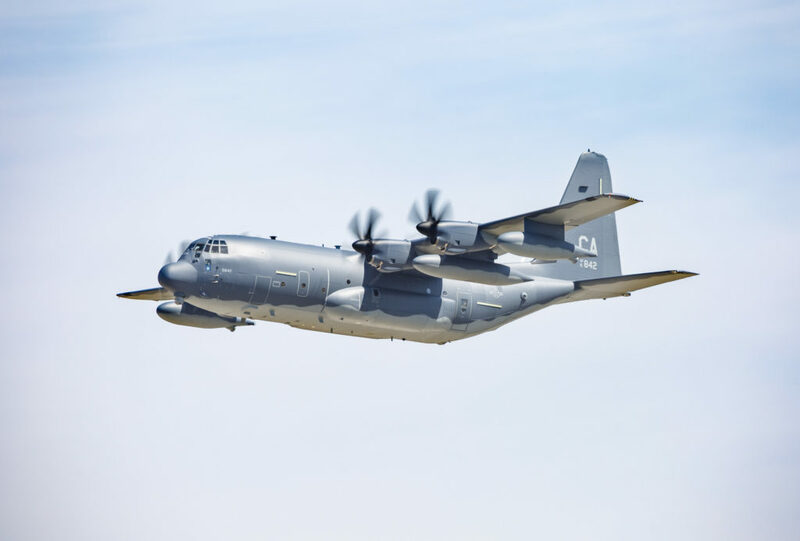 The squadron will use its HC-130Js to refuel the New York Air National Guard’s 101st RQS HH-60G Pave Hawk helicopters, which were manufactured by Lockheed Martin’s Sikorsky business in Stratford, Connecticut. Like others in the U.S. Air Force Rescue community, the 106th RQW lives by the motto, «That Others May Live», which reflects its mission of supporting combat search and rescue anywhere in the world. Crews from the 106th RQW rely on HC-130s to extend the range of combat search and rescue helicopters by providing air refueling in hostile or contested airspace. Other mission capabilities include performing tactical delivery of pararescue teams, small bundles, zodiac watercraft or four-wheel drive all-terrain vehicles; and providing direct assistance to survivors in advance of a recovery vehicle. «The HC-130 Hercules aircraft has been an essential part of the 106th’s Rescue Wing’s fleet for many decades, supporting these brave Airmen in meeting their mission requirements time and time again», said Ray Burick, vice president of Domestic Programs for Lockheed Martin’s Air Mobility & Maritime Missions line of business. «The Lockheed Martin team is proud to provide the N.Y. Air National Guard with new HC-130Js that deliver increased power, capability and performance to support their crews in doing what they do best: saving lives and protecting the people they serve». 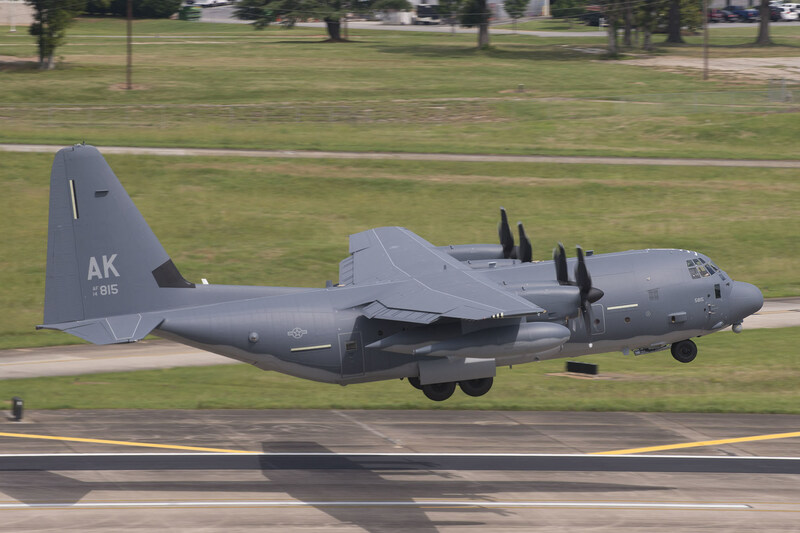 Lockheed Martin delivered the first HC-130J Combat King II combat search and rescue tanker to the California Air National Guard on April 5 at the company’s site here. This HC-130J will be operated by the 129th Rescue Wing (RQW) at Moffett Air National Guard Base, California. 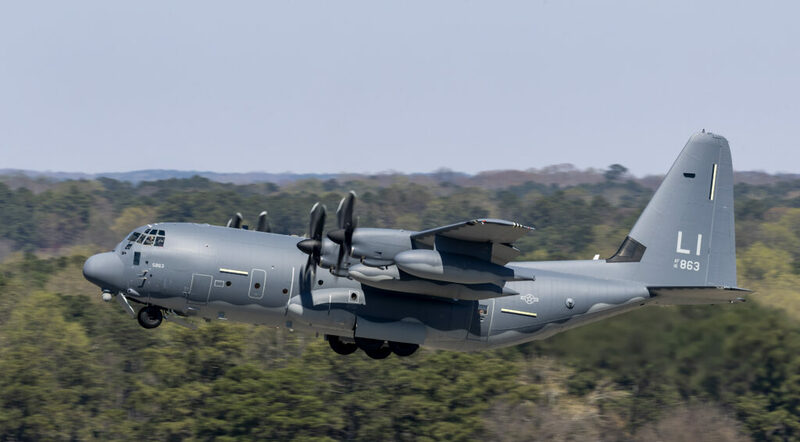 The 129th RQW currently operates a fleet of MC-130P Combat Shadow aircraft, which will be replaced by four new HC-130Js, and a fleet of HH-60G Pave Hawk rescue helicopters, which are built by Lockheed Martin’s Sikorsky business in Stratford, Connecticut. Like others in the U.S. Air Force Rescue community, the 129th RQW lives by the motto, «These Things We Do, That Others May Live», which reflects its mission of supporting combat search and rescue anywhere in the world. The 129th also performs a wide variety of civilian search and rescue missions, including distressed persons aboard ships, lost or injured hikers, and medical evacuations. 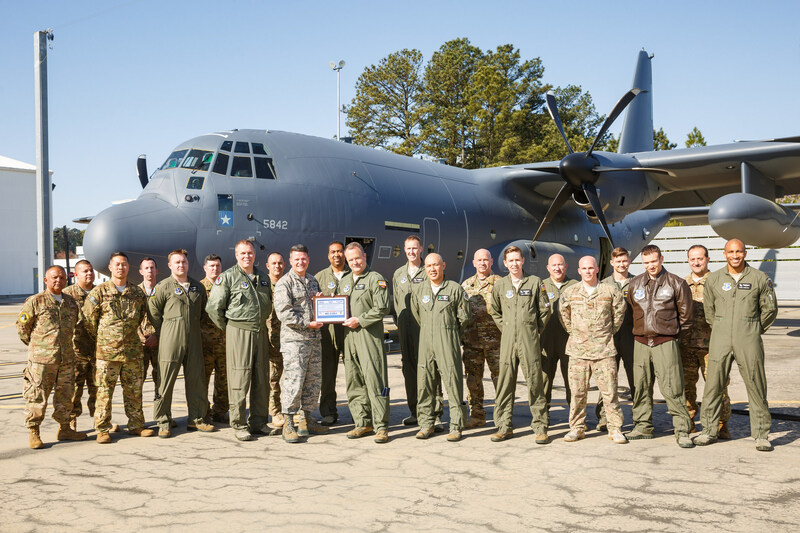 «The 129th Rescue Wing has long relied on its MC-130Ps to exemplify the National Guard’s commitment to being, ‘Always Ready, Always There,’» said George Shultz, vice president and general manager, Air Mobility & Maritime Missions at Lockheed Martin. «The arrival of these new HC-130Js ensure these Airmen will have the increased power, enhanced capabilities and proven performance that will continue to help save lives – in California, throughout the Pacific region and around the world». 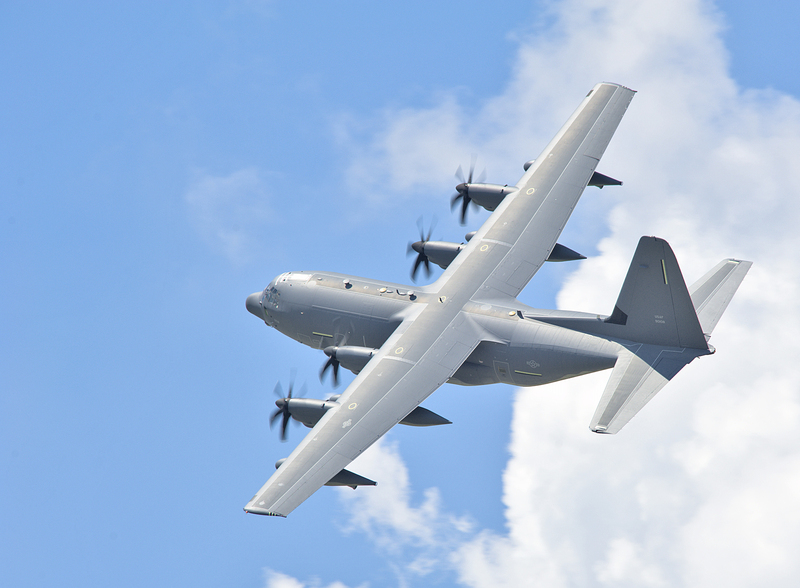 The HC-130J is the only dedicated fixed-wing personnel recovery platform in the Air Force and Air National Guard inventory. The HC-130J supports missions in all-weather and geographic environments, including reaching austere locations. The HC-130J is also tasked for airdrop, airland, and helicopter air-to-air refueling and forward-area ground refueling missions. It also supports humanitarian aid operations, disaster response, security cooperation/aviation advisory, emergency aeromedical evacuation and noncombatant evacuation operations. The HC-130J is one of eight production variants of the C-130J Super Hercules, the current production model of the legendary C-130 Hercules aircraft. With more than 400 aircraft delivered, the C-130J is the airlifter of choice for 18 nations, with more than 1.7 million flight hours of experience supporting almost any mission requirement – any time, any place. Airmen from the Alaska Air National Guard on Jun 1, 2017 accepted the first HC-130J Combat King II assigned to an U.S. Air National Guard unit at the Lockheed Martin facility here. This HC-130J will be operated by the 211th Rescue Squadron (RQS), 176th Wing stationed at Joint Base Elmendorf-Richardson, Alaska. The 211th RQS previously operated legacy HC-130P aircraft to support personnel recovery missions in Alaska and the Pacific Theater. These aircraft also act as aerial refuelers, providing support to the HH-60 Pave Hawk search-and-rescue helicopters that are also assigned to the 176th Wing. This is the first of four HC-130Js that will be delivered to the Alaska Guard. «The delivery of this HC-130J Combat King II represents a new era for both the Air National Guard and the Alaska Guard. This aircraft provides the increased capabilities and enhanced performance that is essential for these Airmen to support their search and rescue mission», said George Shultz, vice president and general manager, Air Mobility & Maritime Missions at Lockheed Martin. «These men and women live their motto – ‘That Others May Live.’ We’re proud the HC‑130J Combat King fleet plays an essential role in supporting this commitment». The HC-130J replaces HC-130N/P aircraft as the only dedicated fixed-wing personnel recovery platform in the Air Force inventory. The HC-130J supports missions in all-weather and geographic environments, including reaching austere locations. The HC-130J is also tasked for airdrop, airland, helicopter air-to-air refueling and forward-area ground refueling missions. It also supports humanitarian aid operations, disaster response, security cooperation/aviation advisory, emergency aeromedical evacuation and noncombatant evacuation operations. The HC-130J is also operated by active duty Air Combat Command personnel recovery units. The HC-130J is one of eight production variants of the C-130J Super Hercules, which is the world’s most proven and versatile airlifter. The C-130J is the airlifter of choice of 17 nations. The HC-130J Combat King II replaces HC-130P/Ns as the only dedicated fixed-wing Personnel Recovery platform in the Air Force inventory. It is an extended-range version of the C-130J Hercules transport. Its mission is to rapidly deploy to execute combatant commander directed recovery operations to austere airfields and denied territory for expeditionary, all weather personnel recovery operations to include airdrop, airland, helicopter air-to-air refueling, and forward area ground refueling missions. When tasked, the aircraft also conducts humanitarian assistance operations, disaster response, security cooperation/aviation advisory, emergency aeromedical evacuation, and noncombatant evacuation operations. Modifications to the HC-130J Combat King II have improved navigation, threat detection and countermeasures systems. The aircraft fleet has a fully-integrated inertial navigation and global positioning systems, and Night Vision Goggle, or NVG, compatible interior and exterior lighting. It also has forward-looking infrared, radar and missile warning receivers, chaff and flare dispensers, satellite and data-burst communications, and the ability to receive fuel inflight via a Universal Aerial Refueling Receptacle Slipway Installation (UARRSI). The HC-130J Combat King II can fly in the day; however, crews normally fly night at low to medium altitude levels in contested or sensitive environments, both over land or overwater. Crews use NVGs for tactical flight profiles to avoid detection to accomplish covert infiltration/exfiltration and transload operations. To enhance the probability of mission success and survivability near populated areas, crews employ tactics that include incorporating no external lighting or communications, and avoiding radar and weapons detection. The HC-130J Combat King II is a result of the HC/MC-130 recapitalization program and replaces Air Combat Command’s aging HC-130P/N fleet as the dedicated fixed-wing personnel recovery platform in the Air Force inventory. The 71st and 79th Rescue Squadrons in Air Combat Command, the 550th Special Operations Squadron in Air Education and Training Command, the 920th Rescue Group in Air Force Reserve Command and the 106th Rescue Wing, 129th RQW and 176th Wing in the Air National Guard will operate the aircraft.